Oh my Summer!! How are y’all surviving?! Because I feel like I am barely holding on. These past few weeks have been non stop swim team, pool, playdates, pool, amusement parks, pool, waterslides, pool… did I mention the pool?! Phew. Well I snuck away from the pool deck to share another round of our Renovation Wishlist. This time around I am discussing our Master Bedroom and the future vaulted ceiling. This was a big wish of ours from the beginning. After living in am older home with 8′ ceilings throughout, the idea of having some vertical space is very exciting. We will also be taking a vaulted ceiling into the Master Bathroom, but more on that down the road. With vaulted ceilings comes a lot of options though. To beam or not to beam. If you beam is it stained or painted? Well here are some inspirations I have been holding onto that explore the idea of all of the above. 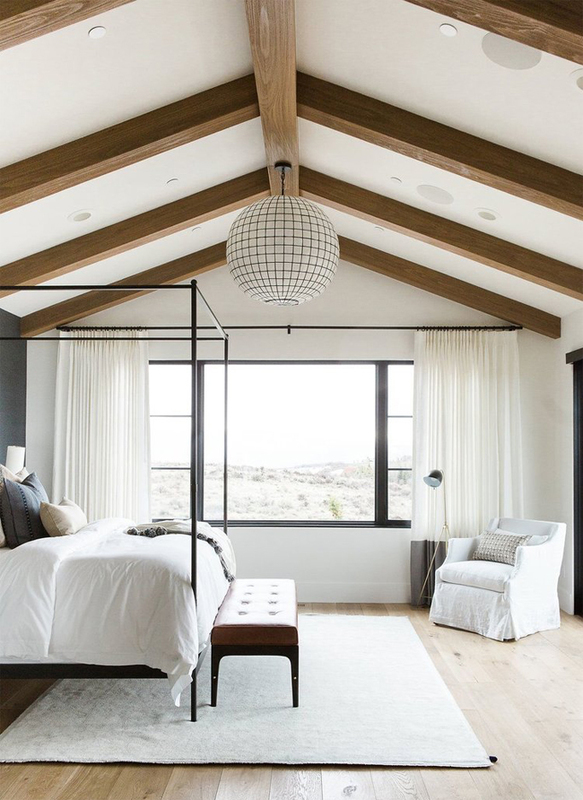 I am loving the idea of a black beam as shown in the bedroom above. An unexpected look that I think would fit right with our black and white home/decor. And while our window will not have that exact view (a girl can dream right?!) it will be overlooking our bottom patio/bocce court area. My husband would love a stained beam, I am just not sure that the look feels right with the rest of our home. This look gives me all of the feels, because if you have been around for any length of time you know I have a slight obsession with applied moulding. Marrying the vaulted ceiling with the moulding would be my ideal solution and what I am leaning the most towards. I should also include in this wishlist the idea of a canopy bed. 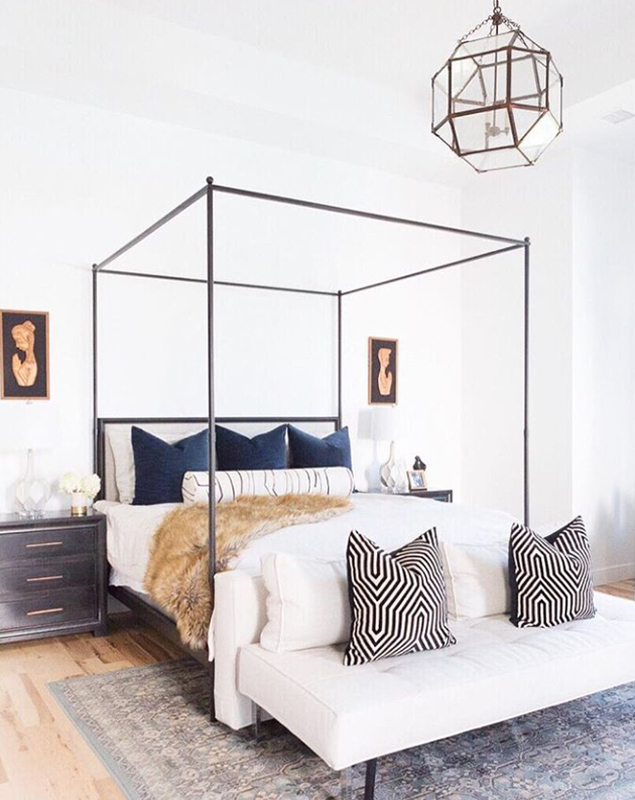 Every bedroom I am loving right now has a beautiful canopy bed. 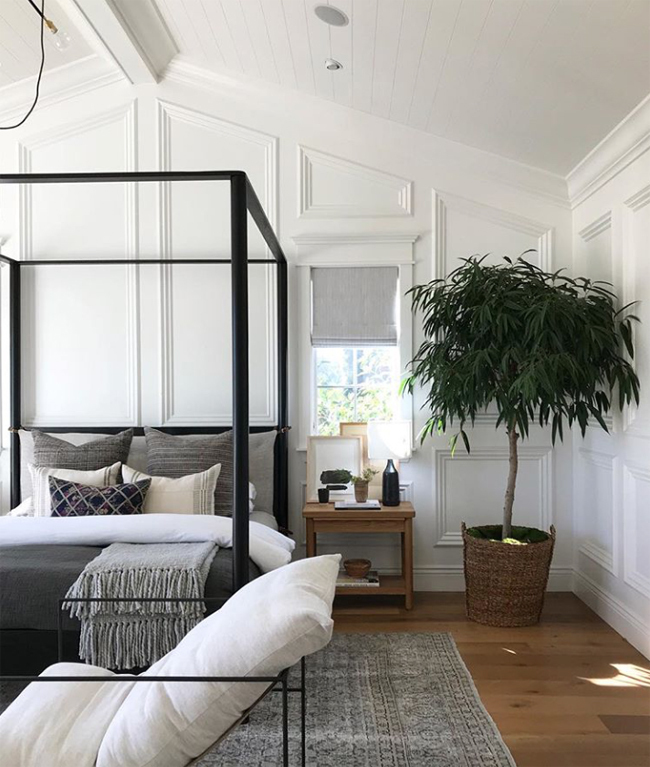 Maybe it is the fact that a canopy really has not been attainable in our current ceiling height, but I am absolutely dreaming of one in our new room. What I will miss about our current room will be our Fawn/Antelope (whatever you want to call it) wallpaper. I am still head over heels for it and can’t imagine taking it down. And honestly, I could really just leave the room as is and the guest room would be complete! 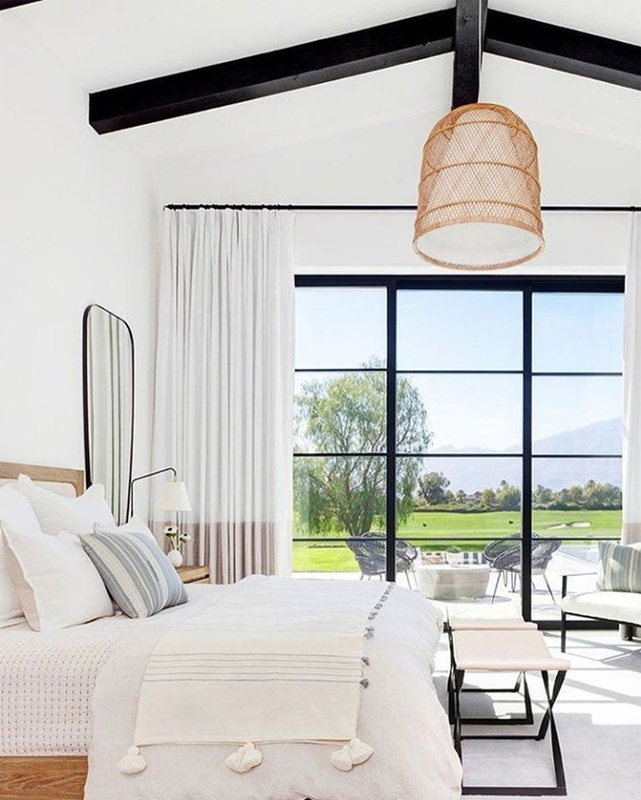 Love the three canopy styles, Kristen:) And the current room looks amazingly wonderful! Great job!